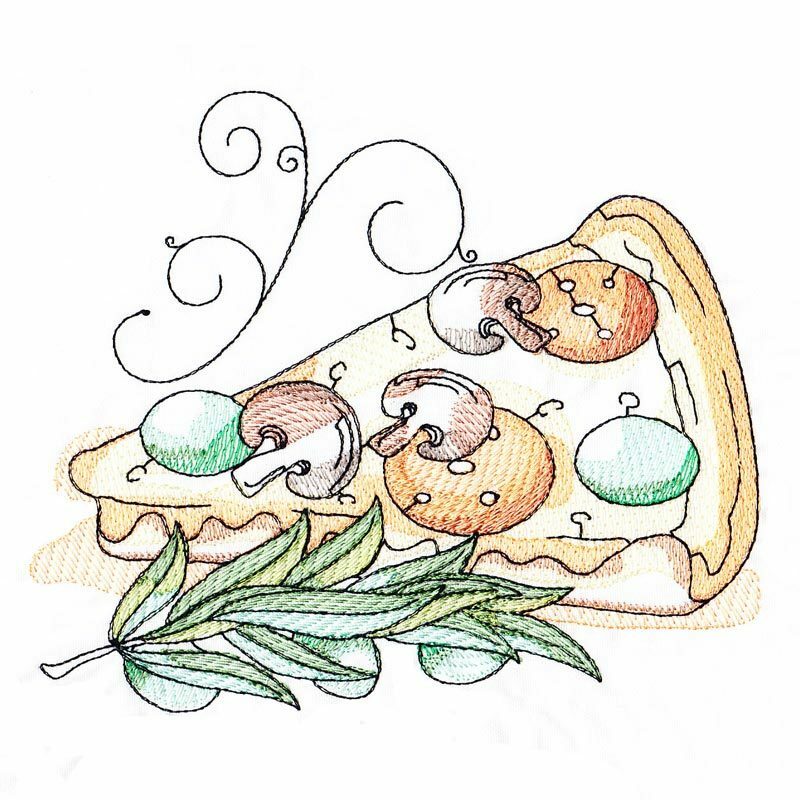 Waterpaint Olive Pizza - 2 Sizes! A beautiful design for kitchen linens, aprons, curtains and more. Stitch Emporium is giving 50% off all purchases! Promotion ends on 05/31/2019. Waterpaint Delights Set, 10 Designs - 2 Sizes! Finish Size 3.28" x 3.89"
Finish Size 5.02" x 5.95"
This design is also available in a larger set. Just click on the "Waterpaint Delights Set, 10 Designs - 2 Sizes!" link in the "You might also like" section for more information.